Colloidal silver has been used for 115 years as a natural antibiotic in countless applications. It fell out of favor with the advent of prescription antibiotics. But in recent years, as antibiotic resistance to potentially lethal bacteria like MRSA and SARS has escalated, the use of colloidal silver is making a come back and gaining respect. Like anything else, there has been much debate on the different forms of silver (ionic silver, silver protein, true colloidal silver). I want to save you a lot of time, and focus on the scientifically backed principles and guidelines for the best option: true colloidal silver. I’ve listed a number of resources at the bottom of this page that validate the safety and effectiveness of colloidal silver. For now, we’ll focus on the benefits. When used topically, creates a healthy environment for thriving skin by killing bacteria and dissolving pore blocking sebum. Clearly colloidal silver is liquid gold! 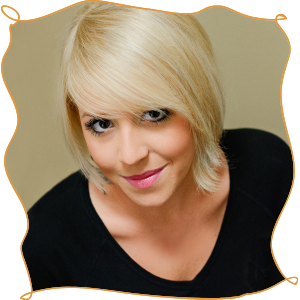 It is my go to supplement choice for regular health maintenance, just about every sickness from the flu- to strep throat and even topical applications for minor scrapes and burns. My husband and I have reduced our medicine/first aid cabinet to a few boxes of Band-Aids, some hydrogen peroxide and our favorite brand of colloidal silver, Sovereign Silver. So are you surprised that I incorporated and said “liquid gold” into a new Grace product? We have teamed up with the number-one-selling and most trustworthy source of colloidal sliver, Sovereign Silver. Their pure form of silver contains only two ingredients, 96% positively charged pure silver particles (which happens to make it at least 34 times more powerful than other brands!) and pharmaceutical-grade purified water. 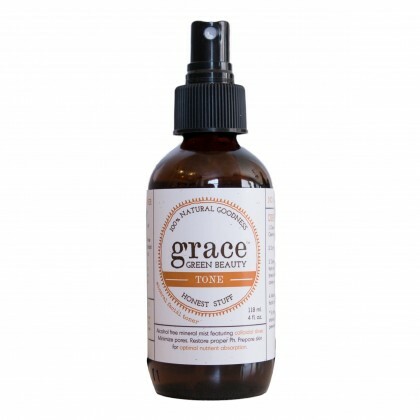 Meet the active ingredient in our new Grace product, TONE Mineral Facial Toner. Our combination of organic witch hazel and colloidal silver help to kill bacteria causing acne as well as numerous other pathogens living on the skin surface. It also removes excess sebum that blocks pores and enabling bacteria to live, minimizes pores, restores proper PH, and prepares skin to receive the optimal amount of nutrients from serums and moisturizers. According to Dr. James F. Balch, colloidal silver has been proven to kill 650 species of pathogens, including bacteria, fungi and even viruses. This makes it a perfect ingredient in our facial toner. Check out the video below illustrating just how powerful the anti-bacterial properties of colloidal silver really are. Isn’t it time you added colloidal silver to your medicine cabinet and TONE Mineral Facial Toner to your beauty regimen? Click here to order.